The ease of moving machinery can vary depending on the complexity of the machine that needs to be relocated. It all depends on what type of machine it is and what is involved during the decommissioning process. Such moving projects are best left to machine riggers who are the choice professionals for the job, but there are some things you can do to help prepare for the task. Everyone knows information is a valuable tool but it can also serve as a protective measure especially when seeking the right riggers for the job. Learn for yourself about the basics for the decommissioning process of your machinery prior to its relocation. Reference your instruction manual or contact the manufacturer to find out. This information will help you make the right choice when it comes to selecting riggers because you’ll know what questions to ask and will also be able to better understand their answers and therefore determine the best fit for your needs. Simple machines can be serviced quite easily but more complex machines can require a more significant amount of time and effort to service. You may need to backup software and data, secure internal components, remove exterior parts, drain fluids or even breakdown the machine substantially prior to moving. Experienced and knowledgeable machine riggers will be able to provide many of these services but in some cases you may be required to have a certified technician provide such services less the machine’s warranty become void. Check with the manufacturer beforehand to be sure. It is possible that some machines may require crating and custom skidding services prior to relocation. It makes sense since these services offer greater protection versus using moving blankets or foam inserts. Again, reference your manual or check with your manufacturer to be sure safety protocols are met before your machines are moved. Find out what your riggers plans are in conjunction with what your manufacturer recommends before choosing the appropriate crew to handle your needs. Take the stress out of the picture completely and choose to work with members of CRN for your machinery moving needs. Experience and knowledge matter when it comes to relocating your valuable assets. CRN only provides the best in industry when it comes to office and industrial moving, packing, crating and rigging professionals. 1. How Do I Check the Safety Record of My Moving Company? You can do this easily by going to the Federal Motor Carrier Safety Administration’s SAFER system. You can search by company name, US DOT number, or MC/MX number. However, you should know the CRN network only includes the very best movers in each market across the nation. A rigorous selection process means you never have to worry about the quality of your moving company. 2. When is the Best Time to Plan for My Move? Most companies take 1-3 months to do the planning. The larger your move, the more time you should take to plan it. Generally, the smaller the move, the more companies procrastinate. Don’t do it – you’ll find yourself in trouble at the last minute! CRN members are fully prepared to work in their respective climates. So if you need to move in the middle of a rough New England winter, forge ahead. You can always get a quote well in advance and then make your move when it’s actually time. 3. 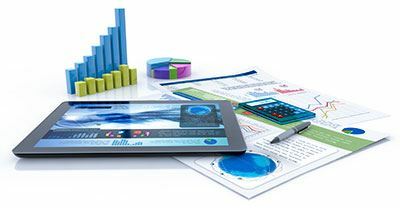 What Should I Pay Attention to in Regard to My Technology Needs? There’s a lot to look at in this regard. Christopher Elliot, in a post at Microsoft Business, says to “let your applications help you move.” What he means by this is to save all your old settings and migrate them to your new hardware and software. That way, you can get up and running right away. The most difficult of all applications is usually your e-mail. Make sure you’ve accounted for that or talk it over with your CRN team for help. 4. How Much Will My Move Cost? You can get a quote from your CRN team. However, the main factors affecting cost (according to MyMovingReviews.com), include the weight of the items you want to transport, the distance you’re moving, and the time it takes to load and unload your inventory. 5. Should I Get Online Quotes or Onsite Estimates? Always have someone visit you in person, recommends SmallBusinessComputing.com. A lot can go wrong without a visual inspection. For example, your move may require special equipment. An online quote simply cannot account for that. Plus, you won’t get any surprises when you get your final bill. If you follow the advice you get from those answers, you’ll do just fine. 7. Move Your Inventory Leave the brunt of this one to your CRN team. However, you do have some responsibility here too. Smarta.com recommends you have someone from your company overseeing your mover at the loading and unloading stations. All items should be listed and checked off as their moved. You should also have a floor plan ready that shows where everything should go. Whew! We’re tired just writing about office moving. But if you follow those steps, your next move should go much faster and be much smoother. Even if it’s moving an employee across town, out of state or overseas, moving can be a big deal. Relocating employees can be a complex process and that can lead to additional stress that you just don’t need. Read on if you want to find out how you can give your employees a great moving experience while reducing potential hassles. When it comes to employee relocation, there are two parties that are directly involved: you and the employee. For you it’s time, money and paperwork. For the employee it’s boxing up their possessions, leaving it all in someone else’s care, stepping outside of their home environment and saying goodbye to family, friends and coworkers. The best thing you can do is to get a great moving experience for you and for your employee. Here’s how: find a moving company that specializes in employee relocation. They will often provide better prices and even benefits that other moving companies don’t. Find out about the movers who will be handling your employee’s move. If the driver and his crew are worth their salt and are decent customer service people their company will rave about them. If not, then you probably won’t hear much about the movers and your employee’s moving day may end up as a bad memory. Be fair if you intend to reimburse or partially contribute to your employee’s moving expenses. Try to get quotes from different reputable movers and compare notes. Don’t just choose the lowest estimate and call it a day. Often moving expenses can end up being a little more than what may be expected. Assuring your employee and yourself that a great moving experience is underway is usually the result of working with the best movers in the industry who work hard and strive for customer satisfaction and not just another paid invoice. Choose to work with members of CRN and you’ll find the best movers around. They’re professional, knowledgeable, experienced and courteous. What more could you ask for? Offer your employee and yourself peace of mind and go with the movers who end up with five stars for service and customer satisfaction time and again. Employee relocation is a service in its own category. Only experienced movers understand that. Lift and lay moving services is a relatively newer service that office movers can provide to help you reduce downtime and stress if you need to replace or repair flooring or carpeting. It also saves you money because instead of relocating all of your office furniture out of the workspace to have your flooring serviced, you can simply raise your furniture up and off the floor without moving it. By following the suggestions above you can better prepare for your moving crew’s arrival to lift your furniture. Your movers will be able to set up the lift system and have your office space flooring ready to be serviced in no time. Choose to work with CRN and have experienced and knowledgeable professionals provide this service seamlessly for you. 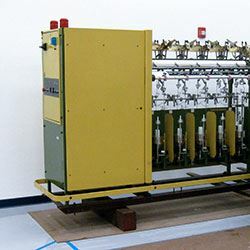 Laboratories can range from just a single room with minimal furniture and equipment to multiple rooms in multiple buildings comprised of many highly sophisticated machines, equipment and furniture. 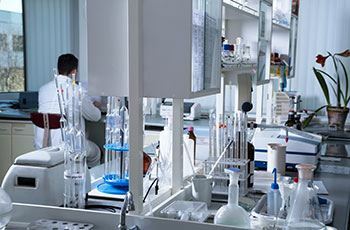 No matter how small or large your lab room may be there are certain procedures that may be required when relocating your laboratory. You will want to be sure to take all necessary steps to organize your lab move. Moving laboratories can be a simple process depending on what and how many items need to be moved. In most cases relocating labs will require highly skilled and professional lab movers with both experience and ability to complete the task successfully. If you want the best in the industry to handle your laboratory relocation, than choose to work with CRN. This tip comes courtesy of the Houston Chronicle. Some employees are natural organizers – put that person as your contact for the move. Their duties can include potentially huge cost-saving measures like negotiating contracts. Not all office moving costs are obvious line-item expenditures. In a SlideShare presentation, My Office reminds you to be mindful of legal fees like property search fees, stamp duty, and registration. 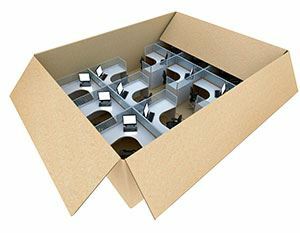 They even go as far as recommending you hire a transition consultant to help you out with your office move. Inevitably, your office move will include some level of downtime. Do what you can to minimize it. Move during your slow season. Keep tight communication with employees and clients. Move your IT infrastructure during the night (and maybe the weekend too if that’s a slow business time for you). Okay, so that’s not always possible in the business world. But if you really want to make the process smooth and as cost-efficient as possible, that’s what this infographic advises. One of the biggest cost savings this allows for is you can get quotes from various movers and negotiate the pricing down. Who’s responsible for maintenance and upgrades? Is that on you or the landlord? What happens if your building suddenly needs a new sprinkler system? What if you need to renovate your bathrooms to comply with the Americans with Disabilities Act? The answers to these questions could significantly impact the cost of your office move. 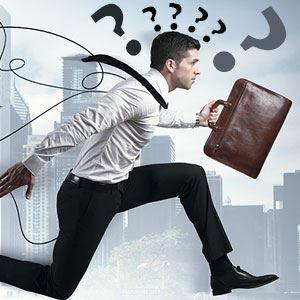 Your employees see moving as a time of uncertainty, which causes stress and fear. Now, it’s hard to put a precise value to staff morale and how it affects your bottom line. Experienced moving companies recommend you help your employees feel like they’re part of the decision-making process. The more you communicate with them about the move, the more confident they’ll feel in it. And when they relax and feel confident, they produce more for you. If you don’t do this, consider how a 5-10% drop in productivity would affect your bottom line. Above all, watch all these costs carefully. You could save yourself thousands of dollars by keeping just one of them in check. 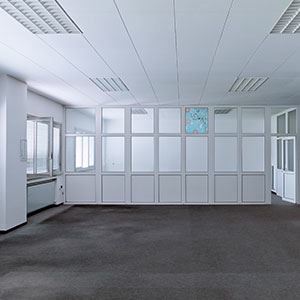 What’s Involved with Office Space Decommission? To make sure you meet the conditions of your contract, meet with the property managers first. Get it on paper and from their lips. My Moving Reviews recommends this tip strongly. Can you use it? Should it be recycled? Does it make more sense to upgrade your furniture so you can be more efficient and productive? Take a thorough inventory of your current furniture assets. Then, meet and make decisions based on your budget, employee needs, and the size of your new facility. 3. Don’t Forget Your Cabling! One Seattle company that refurbs office furniture reminds you that cable wrecking is typically required by most leases. Whether it’s for voice or data purposes, it all needs to go. Can you imagine how many thousands of feet (maybe miles) of cabling may be running through your office? This is what My Moving Reviews continues on with later in its office decommission guide. The short checklist includes floor sweeping, wiping down your walls, and vacuuming your carpet. Do this for your warehouse and actual office space. Once that’s done, then it’s obvious where you need to make repairs. Tiles may need adding or replacing. Walls might have holes. Your ceiling may have some damage too. Whatever repairs you consider making, just make sure you follow the terms of your contract. Remember, You Do It for Everyone’s Benefit! For example, one auto parts manufacturer decided it was time to shut down a particular plant. It actually used the guidance of several consultants to do so. What could have went wrong without a carefully planned decommission? Quite a bit. Asbestos-containing materials could have harmed the environment, employees, and nearby citizens. PCBs and ozone-depleting substances could have been released into the air. Instead, the workers, residents, and environment were fully protected from any harm. The company didn’t experience any negative publicity that could have resulted. A potential disaster was thwarted with safe, proactive decommission planning. Think of what could go wrong with your company! Make sure you have a thorough checklist and knowledgeable experts in place to help with your decommission. If you need to dismantle or assemble your industrial shelving and pallet racking structures, make sure you have the appropriate safety equipment, tools and experienced professionals before you start the job. Working with heavy duty beams and racking can be dangerous if not properly prepared. Be sure to look over the whole project and understand what is involved. Proper safety equipment or PSE is one of the most important necessities required when working with steel beams and racking. Make sure everyone who will be working on your racking project has a hardhat, work gloves, steel –toe boots, tool belt, proper hand and power tools, blue prints and the appropriate experience. Make sure your crew has an informative instruction manual on how to assemble, dismantle and handle industrial racks and shelving. Without the correct paperwork to guide the process, serious injury or property damage can result. It’s always a good idea to have a mechanical fork truck available to assist with supporting all or part of the racking structure, raise and lower beams and other materials and make the job more manageable and easier all around. Communication is key when building industrial shelving and pallet racks. Often the work area can be noisy and busy, and workers may not hear or see a potential safety hazard around them. Be sure to have caution signs displayed and ensure your crew is tuned in on listening to one another. 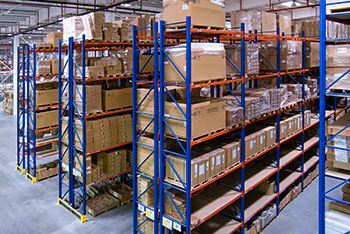 Experience can be the make or break factor in handling industrial shelving and pallet racks, and having a crew with professional experience and safety in mind is ideal for any project in an industrial workspace. You could handle your own industrial workspace project or you can choose to work with members of CRN who are masters of their trade and the best in the industry to handle it for you. Working with CRN will ensure your job is done safely, efficiently and right the first time. 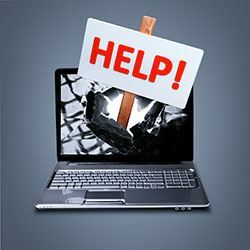 Getting rid of your old electronics like computer, monitors, peripherals, printers, copiers and other broken or obsolete electronics is not as easy as one might think. First you will need to completely wipe all data from the electronics in order to protect yourself and your clientele, and there are also rules and regulations in place that must be followed when disposing such items from your inventory. When you choose to handle a project like this yourself you will need to teach yourself on how to properly wipe all data from your electronics. There are numerous articles online that can assist you with these processes. However, you may find that you either don’t have the time or prefer a professional to handle this task for you. When it comes to finally removing all of your unwanted electronics you will need to educate yourself regarding your state’s laws on recycling or disposing them. To sum it up, you can’t just throw old electronics away. If you want to make things really easy for yourself call your local industrial movers and have them provide this service for you. Recycling and disposing electronics usually consists of creating an accurate inventory with manufacturer model and serial numbers for all electrical items, precise packaging and palletizing and shipping off to the appropriate destination consignees. While making an inventory can be simple, handling and palletizing computer and other equipment can be tedious, heavy and tiresome. Industrial movers handle electronics recycling and removal regularly and can help you by assigning a professional, experienced and efficient crew to move out the electronics you don’t want, and they’ll do it the proper way so you don’t have to worry about following rules and regulations that soak up your time and add to your list of priorities. Choose to work with CRN and get the best of the best industrial movers for an absolutely seamless move.